The weekend is for assembling IKEA furniture in your un-air conditioned apartment, but you live alone now, so at least you don’t have to wear clothes. Also, video games. I’ve recently gotten on a Spelunky kick, because it makes a nice break between unpacking boxes from my recent move. I wasn’t that good at it to begin with, and I’m pretty rusty now, but in case you forgot: Spelunky is great. 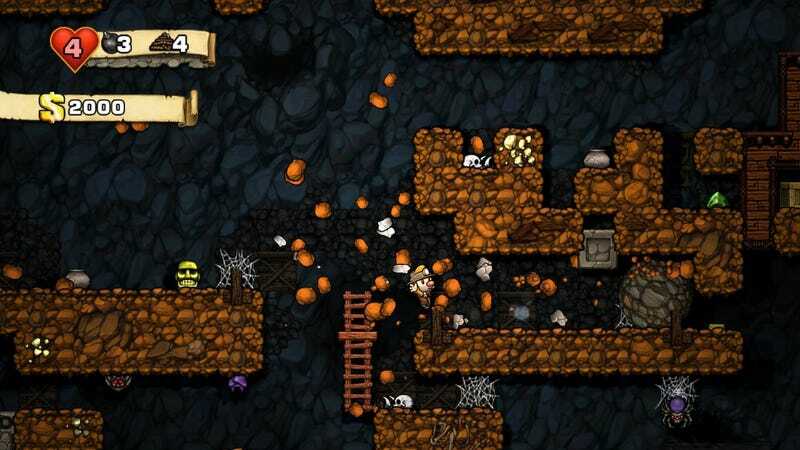 Go play Spelunky.